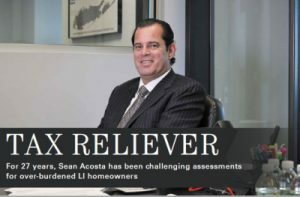 Assemblyman Joseph Saladino of Ways and Means Committee and Nassau County Legislator D. William Gaylor, Chair of Senior citizens committee will be joined by property tax expert Sean Acosta to announce new New York State rules for seniors to get thousands of dollars back from the government. For the upcoming year there are changes with filing with the Star and Star Enhanced programs. The new information is vital for many seniors to preserve their tax exemption. New forms will be distributed to seniors citizens that are attending the announcement. Over one third of Long Island senior homeowners do not apply for exceptions that their entitled to. Other benefits for Veterans and firefighters will be discussed.